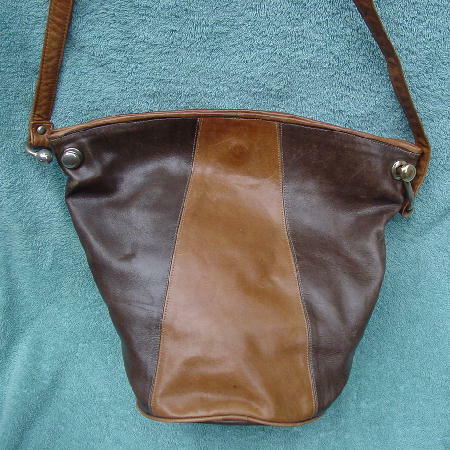 This dark brown with a touch of taupe and light caramel color leather purse was made in the USA by Viva of California. 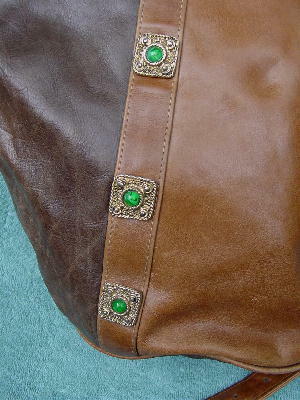 It has a 51" long by 3/4" wide adjustable shoulder strap with two tarnished gold-tone metal ball-hook attachments. 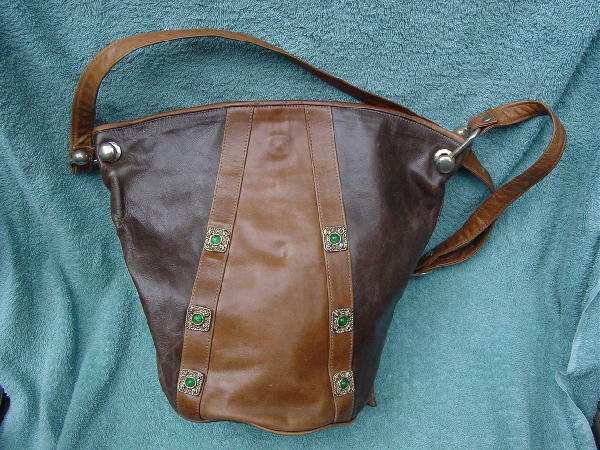 The inner top has a magnetic closure and the caramel leather extends downward 3" with a full side to side zipper closure right below the leather. The faux leather lining is in a beige color and it does have a few ink mark lines. It has an interior zippered pocket. The exterior back center has a circular water mark and there are 2 very small ones on the front. The purse does have some scuff marks, but that only adds to its charm. There are 6 gold-tone metal box-shaped ornaments with multicolored green centers in the front.